I needed a banana bread recipe that didn’t use eggs or brown sugar just because I ran out of both of those. 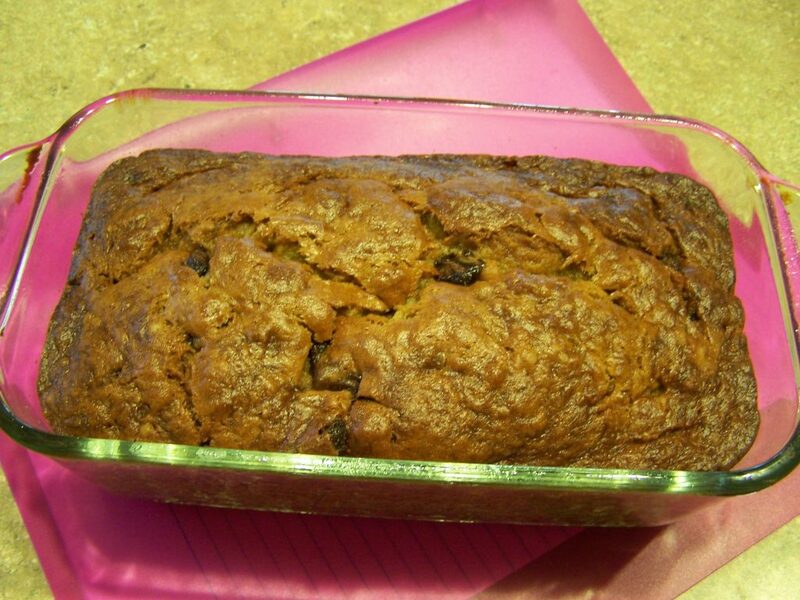 I really love my other banana bread recipe, but this one is a close second. I found this recipe and it was just perfect. Preheat oven to 325°F and grease a loaf pan with nonstick spray. In the bowl of a mixer, cream together the margarine, sugar and vanilla. Sift in the flour and baking soda. Add salt and mix at low speed to combine. Mix in the bananas and chocolate chips. Pour batter into the loaf pan and bake until a toothpick inserted in the center comes out clean, about 60-70 minutes.